Honda doesn’t build exciting cars, but you already know that. Honda builds reliable cars, and chances are you’ve owned one at some point in your life. The Japanese automaker is slowly getting better at delivering designs that are much less derivative of past models and more appealing to consumers, but at this point in the game it’s been more of a slog than a sprint to that rainbow-filled reality. 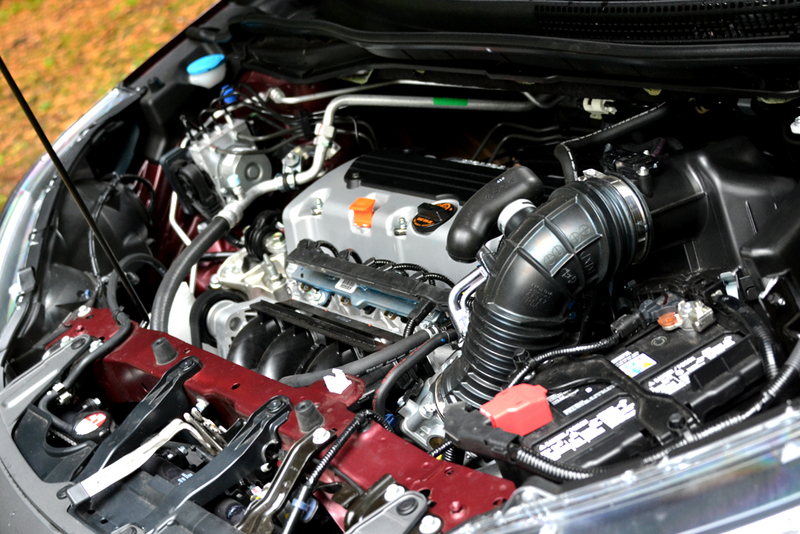 What Honda does build, though, are cars that are incredibly fuel efficient and practical. The 2013 CR-V embodies all of the latter, and while it’s an excellent car for families and those looking for greater cargo space, its sleepy design might turn a few off, especially when other, more vibrant, alternatives exist. Open the door and step into the CR-V and you’re treated to a classic design lesson where function routinely triumphs over form. 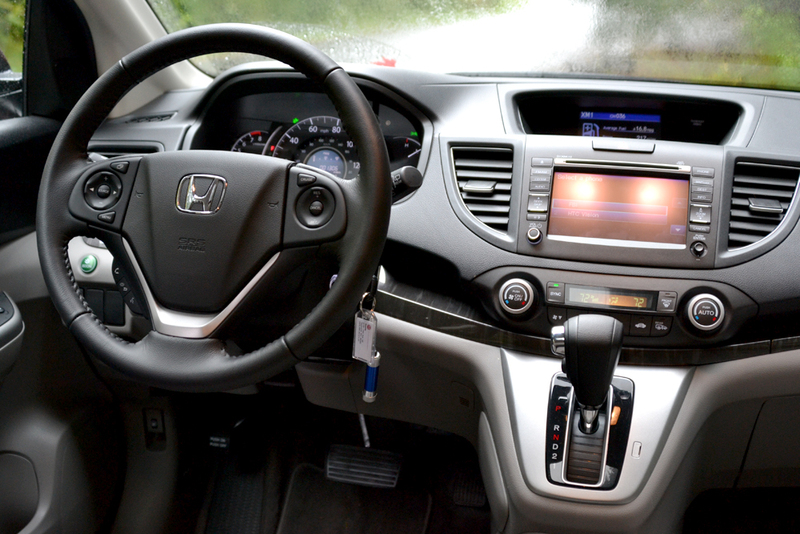 Honda has approached the CR-V’s interior with a utilitarian mindset and it shows. Everything is simple, from the flat bottomed and backed front and rear seats, to the large, blocky center console fenced between the passenger and driver side. The cabin isn’t completely confined to right angles though, and the center console features a gradual curve that juts out beneath the dash in order to accommodate the elevated shifter. Needless to say, drivers both young and old will certainly feel comfortable and home with the cabin’s simplified design. As it turns out though, simple doesn’t always equate to bad. 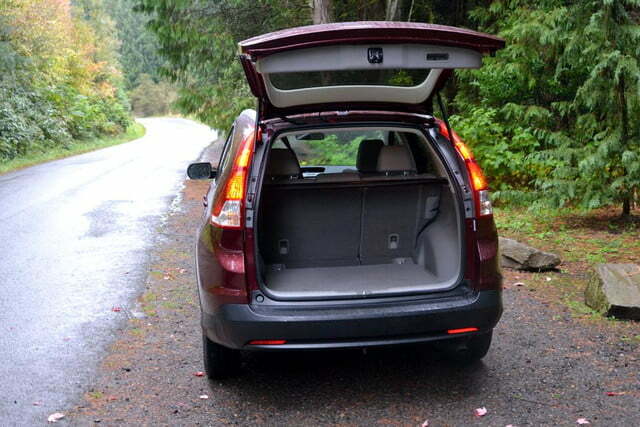 The 2013 CR-V is very spacious and you’d be forgiven for thinking you’re riding in a much larger vehicle. 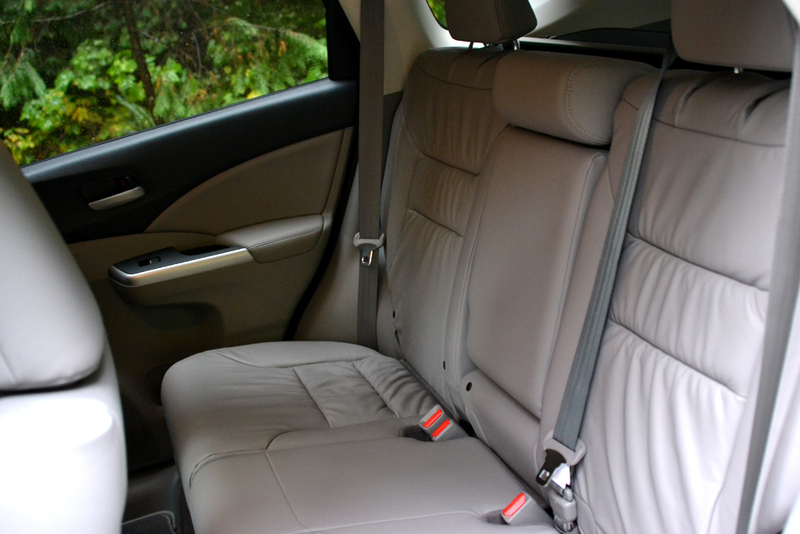 Legroom up front and in the back is ample, and will easily accommodate longer drives. Getting back to that utilitarian mindset, Honda has included a wide array of storage compartments, the largest and most practical located between the two front seats. Further little touches like folding armrests help hammer home the CR-V’s attention to comfort and practicality. 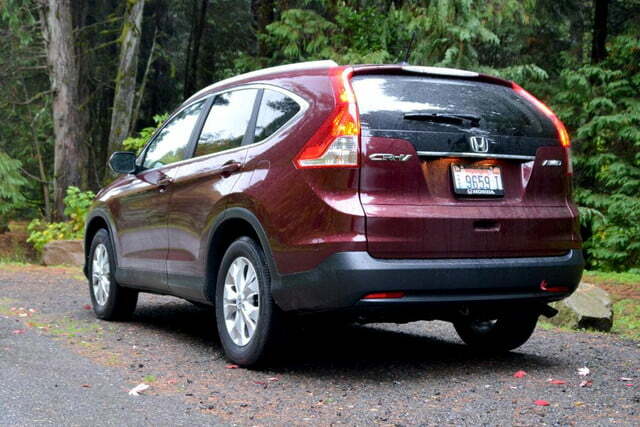 A major part of a crossover’s appeal is its added cargo space and the 2013 CRV is a superstar in this department. With the rear seats up, the CR-V gifts a generous 37.2 cubic feet of carrying capacity; fold those rear seats forward and that number swells to 70.9 cubic feet. Adding to its practical sensibilities, the 2013 CR-V boasts a useful amount of cabin tech drivers will surely appreciate. Nestled atop the cabin’s dashboard is an Intelligent Multi-Information Display (I-MID) that relays information, such as your current fuel economy, tracklist, and turn-by-turn directions to name a few. Honda even allows drivers to upload pictures via a USB thumb drive and assign different wallpaper to the I-MID. In an age where we like to curate and customize virtually every digital experience we partake in, it’s a nice touch. 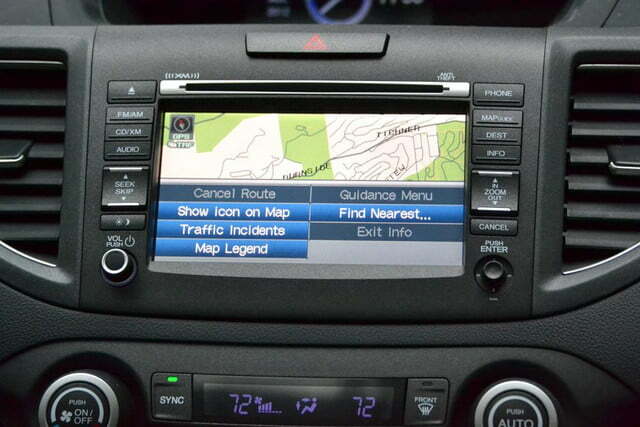 Located more centrally in the center console, we find Honda’s navigation unit and touchscreen LCD display, which we found to be both responsive and clear. It isn’t as vivid as others we have come across in the segment, but most will find it works well enough. Flanking each side of the display is an array of buttons for more frequently used functions, so for instance, swapping between navigation, audio, FM/AM, etc. is fairly easy. Again we find a very simple and straightforward layout that will appease most, however, we found the buttons on each side of the screen to be too frustratingly small at times. 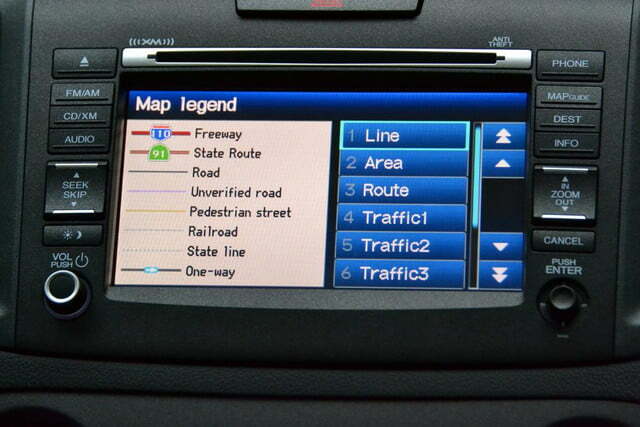 As far as the navigation experience itself is concerned, we found it to be pretty robust and easy to use. Voice commands work without much of a hiccup, and as we mentioned, the turn-by-turn prompts are relayed seamlessly onto the I-MID display, with the only gripe being a lack of street names read aloud. Of course no self-respecting modern car would be caught dead without a modicum of phone connectivity, and thankfully the 2013 Honda CR-V delivers. Once paired, drivers have access to both Bluetooth phone and audio features, so placing calls and listening to Internet radio applications such as Spotify and Pandora is supported. Speaking of Pandora, the CR-V incorporates the Internet radio service directly rather well. You can still use other apps or songs loaded onto your phone (iPods also work) , but instead of displaying the default screen, using Pandora adds those beloved “thumbs up” and “thumbs down” buttons to the interface. Although you can’t create a playlist through the vehicle, the CR-V will allow you to select one you’ve already made with ease. With texting while driving the ultimate automotive no-no these days, it’s surprising we haven’t seen more automakers trying to incorporate a system that would help drivers stay connected to their friends and family. 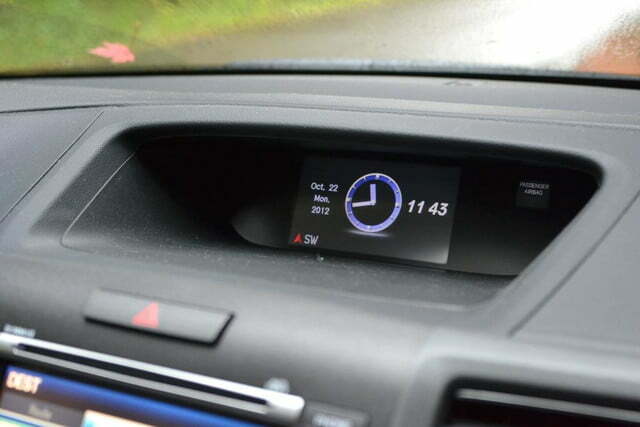 If you’re one of those people, you’ll be happy to learn that the 2013 CR-V features a rather nifty bit of tech that reads your incoming text messages. 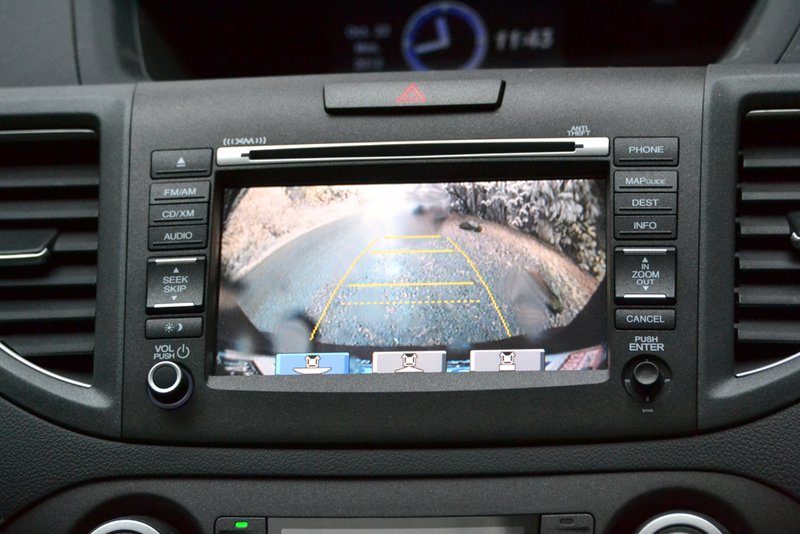 Rounding out the onboard tech features is an excellent rearview camera that provides three different viewing angles when backing up — wide, normal, and top-down – that really comes in handy when trying to maneuver out of tight spaces. Many of you will remember Honda’s brilliant Superbowl commercials featuring actor Mathew Broderick indirectly reprising his role as Ferris Bueller while driving around in the updated and restyled 2012 CR-V. Truth be told, the CR-V has had more facelifts than Joan Rivers. Undoubtedly, we have come a long way since the boxy, boring, and banal stylings of CR-Vs in the past — and most will agree the latest CR-V is the sexiest version yet — but it still lacks that presence and charisma others in its class exude, like the Ford Escape and, our personal favorite, Mazda CX-5. 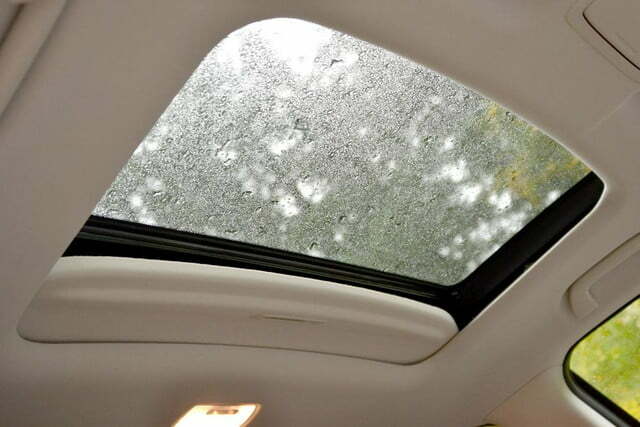 Of course, step outside the 2013 CR-V and you’ll see just how all that space and utility found on the inside was accomplished. There isn’t a particularly windswept design, rakish athletic hood, or sharply pinched greenhouse. Instead, the CR-V is unapologetically wide and proportioned with practicality, not pizazz, in mind. There isn’t a lot of flair here, but to their credit, Honda’s design team has built a car that looks good. She might not be beautiful, but she’s pretty enough to introduce to your friends and family. Without doubt, the CR-V’s interior and tech features make it one smart CUV, but it isn’t until we delve under the hood and examine its powertrain that we begin to see where it lacks a level of sophistication. While many of its class rivals have begun offering direct-injection engines and higher gear ratios transmissions (in the form of six-speed automatics) the CR-V offers neither. On paper, that sound as if it holds the CR-V back from other vehicles in its segment, but really it doesn’t. It will still get up and down the mountains, slog through mud and snow, and, above all, provide excellent fuel economy. If we had to describe the 2013 Honda CR-V’s drivetrain in one word, it would be “adequate.” Powering this pleasant people mover is a 2.4-liter i-VTEC inline four-cylinder engine capable of pumping out a modest 185 horsepower and 163 pound-feet of torque. A five-speed automatic transmission and front-wheel-drive comes standard, while more industrious types can opt for all-wheel-drive. Fuel economy is the real standout feature on tap. EPA estimates sees the front-wheel-drive CR-V net 21 mpg in the city, 31 mpg on the highway, and a combined mpg of 26. 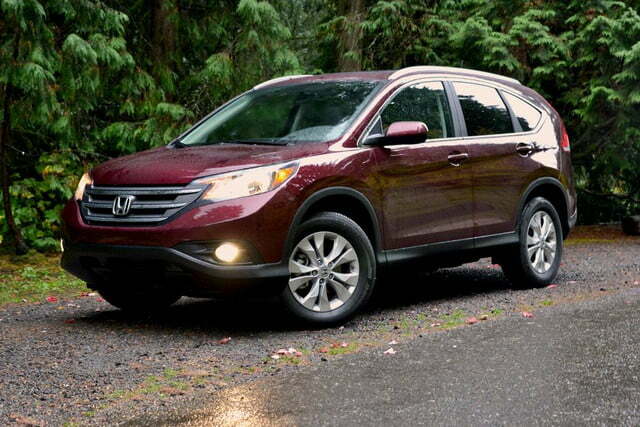 For 2013, Honda has increased the CR-V’s mpg in the city by 3 mpg. Naturally, all-wheel-drive saps some of the fuel frugality from the numbers, with an EPA estimated 22 mpg in the city, 30 highway, and 25 combined. Fuel economy remains the same in the AWD from last year. Still, even without adding a six-speed automatic, the 2013 CR-V is one of the most fuel-efficient vehicles in its class, and with the way fuel prices continue to fluctuate these days, that distinction simply can’t be overstated. The CR-V also includes an “Econ” driving mode that limits throttle response and seeks to provide a greater degree of fuel economy. All in all, Honda’s crossover champ won’t whisk you off your feet, but its fuel-sipping engine will get the job done on the vast majority of roads conditions you’re likely to frequent. Generally speaking, crossovers (like traditional SUVs) are not the most nimble vehicles to canter around in, and that’s pretty much the case for the 2013 CR-V. Handing is never dull, but it’s never truly exciting either. Our AWD model conducted itself well during both sharp and longer turns. Cabin sway remains minimal, and the CR-V’s MacPherson strut front suspension and multi-link rear keep ride quality tight and firm. We were a little disappointed in the lack of feedback from the electric power-assisted steering, as it continuously failed to provide any positive or negative feedback during our road tests, but most drivers will more than likely be able to live with it. 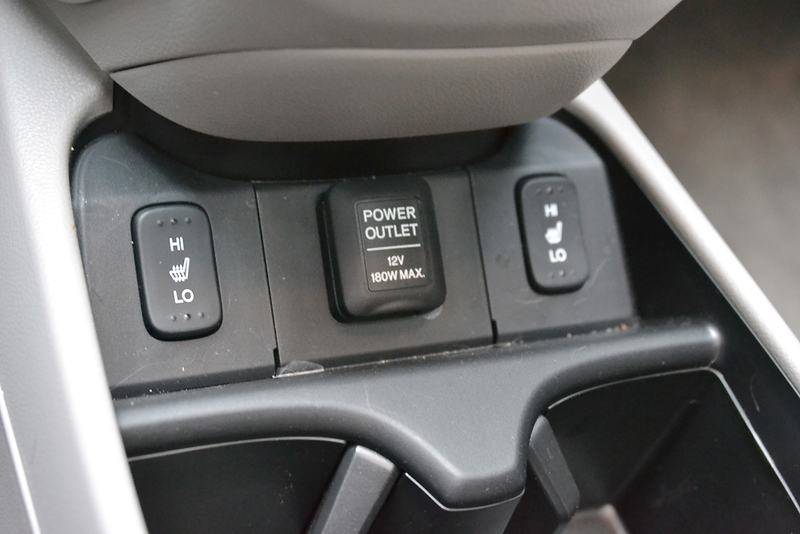 Drivers looking to take frequent jaunts outside the city and suburbs would do well to opt for AWD, as it features Honda’s Real Time AWD system, which allows power to be sent to the rear wheels regardless of latent wheel spin in the front. Overall, the CR-V does what it does and does it well. You won’t hate it, you won’t love it, but you will be satisfied by it. 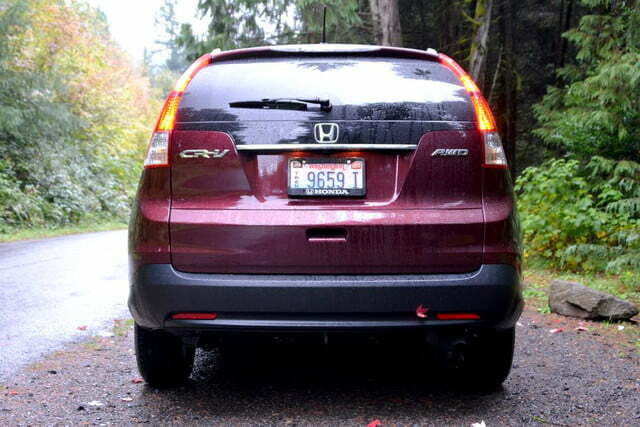 Overall, we really liked the 2013 Honda CR-V. We’ve never thought Honda’s crossover king was much to look at, but ever since last year’s overhaul, we’ve come to appreciate it more. As the old maxim states, beauty is in the eye of the beholder, and enough people have, do, and will appreciate (or at least be able to live with) the CR-V’s somewhat frumpy proportions. But alas, style isn’t everything. While the CR-V would never be able to saunter down the Milanese runways, it’s a fairly good-looking car that most will enjoy. We long for more razzle and dazzle, but that’s just us. The 2013 CR-V might fail to deliver on the style and performance front, but it virtually nullifies those complaints by being one of the most livable and accommodating vehicles we’ve stepped foot in. Couple that with an excellent fuel economy, a reasonable starting price (LX models start at $22,695) and more space than a Tokyo apartment, and the CR-V is one of the most compelling crossovers money can buy. 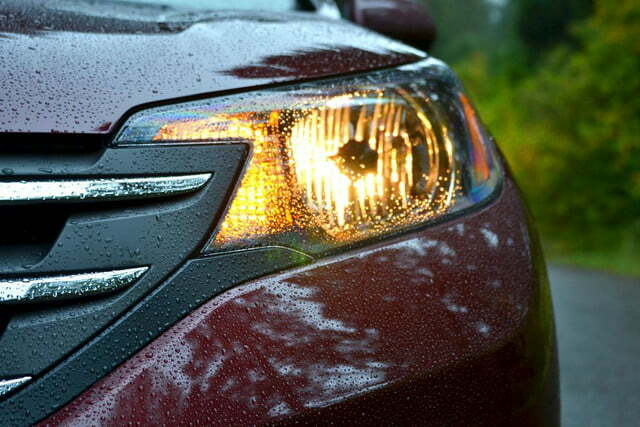 For more pictures, check out our 2013 Honda CR-V photo gallery.